Our criticisms of the WSWS's sectarian politics in the Greek crisis have provoked some negative responses from what one might call the 'internet revolutionaries' whose political existence tends to consist of composing fawning posts on the WSWS comments section. One letter we got I do want to say something about, not because of any substance - there isn't much - but rather because of what it reveals about the political mindset of WSWS supporters. "In the face of the overwhelming correctness of the WSWS's analysis and political line, the two of you disgruntled former members of the WL try desperately to come up with something--anything--to discredit the only organization that is trying to build a revolutionary working class party composed of the working class itself and based on a revolutionary program consistent with Trotskyist principles. One of the conditions of membership is agreeing with the Statement of Principles and the Party's program. If people are going to go to meetings and advocate tacit support for a petty-bourgeois party like Syriza, as this pathetic blog does, then you deserve to be shouted down. The fate of the working class depends on it." Most of this is the overheated rhetoric of a true - and uncritical - believer. But it's the last couple of sentences that bear attention. Notice the phrase, "you deserve to be shouted down." This is the mindset of a STALINIST SHOW TRIAL. "Shouted down" - why? Are we backing capitalism? Engaging in strikebreaking? Collaborating with the CIA? No, our only sin is advocating "tacit support" for Syriza. This is of course Cortright's OPINION of our position. We would have a very different OPINION. In fact we would argue that Cortright's opinion is A TOTAL MISREPRESENTATION OF OUR POSITION. But we would never get a chance to make that argument because in Cortright's kind of a party we would be "shouted down" by true believers like himself. Let me say this directly: this is an APPALLING TRAVESTY OF TROTSKYISM. And to the WSWS readers who don't like to dwell on negatives like this, you are being willfully blind. Support for an organization that breeds this kind of mindset DOES NOTHING TO ADVANCE THE CAUSE OF SOCIALISM. I say breeds this kind of mindset because this is not a personality quirk of a particular individual. "Shouting down" dissenters is very much the MO of the internal regime of the SEP. Cortright's fervid avowal that the "fate of the working class" depends on "shouting down" dissent is nothing short of Orwellian. A party promoting internal debate or having such an atmosphere I want to see, really. It is too rare that it would be expected of this or that liberal journal, which prove to have their own limitations. 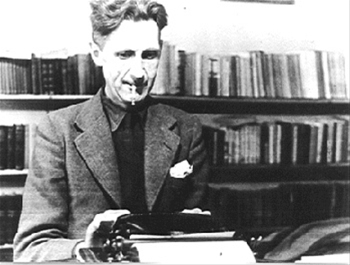 The promotion of internal debate was the norm in the socialist movement until the rise of Stalinism. It was also the norm in the Russian socialist movement and among the Bolsheviks. 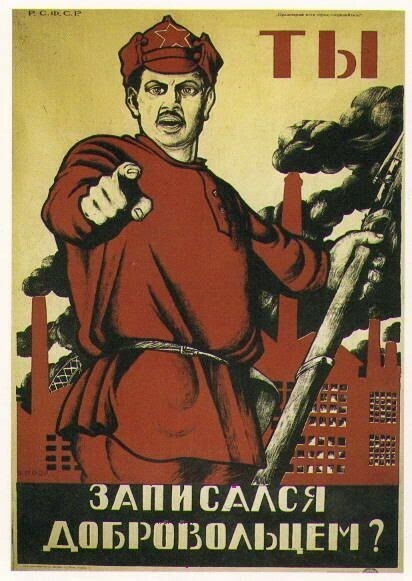 There is a common image of Boshevism that has been propagated by right wing propagandists that the Bolsheviks under Lenin's leadership did not tolerate dissent within its ranks. This is completely fallacious. Trotsky's masterful History of the Russian Revolution gives an account of the very sharp differences that existed within the Bolshevik Party on the eve of the 1917 revolution. Another more recent account that confirms Trotsky's narrative, is the book by the non-Marxist historian Alexander Rabinowich, The Bolsheviks Come to Power. And encouraging open debate was always the norm in the Trotskyist movement. The American Socialist Workers Party (SWP), until the cultish regime of Jack Barnes took over in the 1980's, always held discussions of issues prior to a National Conference and it would have been all but unthinkable to hold Conference after Conference where every resolution was passed unanimously and no one ever challenged the party leadership. Ironically, the predecessor of the SEP originated as a faction in the SWP in the early 1960's opposing the orientation of the majority. It was called the Revolutionary Tendency and for a time carried on a struggle for its perspective within the SWP. And you will find that among many groups today that consider themselves Trotskyist (I will leave aside an assessment of their politics) open discussion and debate are encouraged. The SEP stands out for its unique and dubious record of never recording any dissent at its various Conferences. As as one reader, a former SEP member has testified, this is not because there is no dissent within the SEP. It is because openly expressing dissent and challenging the leadership is considered something like an act of treason. As someone who has been reading both this blog and the WSWS for a while, I will say that I'm concerned by the tone and content of Frank Brenner's latest posting. I have in mind, for example, his assertions (in all-caps, no less) that the SEP's members have the mindset of a “Stalinist show trial,” and that they are constantly engaged in the “suppression of dissent.” Such remarks are veering towards outright anti-Communism. It is evident to any objective reader that the assessment of the Greek crisis on this blog by Alex Steiner, Frank Brenner, and Savas Michael-Matsas was deeply wrong. The election of Syriza has not “shaken the world,” as Mr. Michael-Matsas declared in February. Nor is Syriza's Costas Lapavitsas “very much at home in the language of orthodox Marxism,” as Steiner declared in March, reacting to what he called a “fascinating interview” with Lapitvsas in Jacobin magazine. The reality is that the Syriza government is now pushing through a particularly harsh series of social cuts in Greece. The WSWS' appraisal, on the other hand, has proven to be very farsighted. They warned that Syriza was not a great new political alternative. Their characterization of Syriza's call for a referendum as a “reactionary fraud” was correct. The Greek finance minister Varoufakis confirmed that prime minister Tsipras was hoping for a yes vote in the referendum, which would have justified surrendering to European demands for austerity measures. When the no vote came in, Syriza then promptly ignored it and quickly agreed to more cuts. After this experience, Mr. Brenner is lashing out wildly at the WSWS, denouncing it as a repressive cult. I don't think this will convince anyone who has read very much of the WSWS, but it does have definite anti-Communist overtones. To whom are these denunciations being addressed, and what do they have to do with the situation in Greece? I would appreciate it if this comment were in fact posted on the blog, and if Mr. Steiner and Mr. Brenner desisted from making such inflammatory remarks in the future. You completely ignore the reason for Frank Brenner's comment - the remark about being shouted down! As for claims about anticommunism, that was always how Stalinists tried to shut down criticism by Trotskyists. And you also completely ignore the original point about the SEP's "unanimity", to say nothing of the substance of our criticisms of their sectarian politics. "I was present at a number of meetings of the Central Committee of the Workers Revolutionary Party presided over by Gerry Healy in the 1970’s. These meetings featured sessions that may last five or six hours without a break and would often go very late into the night. It was a method Healy used to wear down his political opponents. In almost all cases however, the target of Healy’s ire were not political opponents at all, but trusted comrades with whom he had worked for many years. Healy was a person who was marginally on the verge of paranoia and took these measures as a kind of preventive operation to make sure no one ever dared challenge him. The particular target of the day for Healy’s abuse, be it Cliff Slaughter, Cyril Smith or Bill Hunter, would be mercilessly browbeaten by Healy and ritualistically denounced by every leading comrade, most especially those comrades close to the person being denounced. Physical as well as verbal abuse was a common tactic of Healy’s and of those he trained. ...For North, the methods for achieving the goal of the “ideal Bolshevik” may have changed, but the goal is indeed the same. Rather than physical abuse, North employs the methods of ostracism, character assassination, and for some the use of financial pressure. Thereby North has succeeded in forging a party of aging hand-raisers who go along with his every turn even when they know better, surrounded by a newer layer of younger, mostly middle class students, who have been trained to believe that every article they write for the WSWS brings the party closer to the working class when just the opposite is the case. What is clearly missing in the ranks of the WSWS is any semblance of the working class or any spirit of independent thought." Being unable to answer our polemics, North resorted to a smear campaign against me in order to discourage members of the SEP from reading our material. If you want to defend the SEP and claim that our characterization of them have no merit then you need to address the specific points we have raised - their "unanimous" votes at every single Conference, the testimony of former SEP members as to their use of ostracism, brow-beating and character assassination, etc. Your failure to do so indicates that you are not arguing in good faith. I will address your misrepresentations of our political perspective in a separate comment. "It is evident to any objective reader that the assessment of the Greek crisis on this blog by Alex Steiner, Frank Brenner, and Savas Michael-Matsas was deeply wrong. The election of Syriza has not “shaken the world,” as Mr. Michael-Matsas declared in February. Nor is Syriza's Costas Lapavitsas “very much at home in the language of orthodox Marxism,” as Steiner declared in March, reacting to what he called a “fascinating interview” with Lapitvsas in Jacobin magazine." I will answer each point here. 1. You and the WSWS are entitled to your opinion that the election of Syriza was no big deal but it is now clear to all but the willfully blind, that first the election and then the referendum and the victory of the "NO" represented the equivalent of an atomic explosion for European and world politics. The European Union is now hopelessly fractured and its disintegration all but guaranteed. The UK will almost certainly vote to leave the EU. Other countries are sure to follow. The great divide between the prosperous North and the South of Europe is now all but official thanks to Schauble's vindictive blackmail of Greece. And whatever now happens with Greece, one thing is certain, European politics have undergone a qualitative leap and the class struggle is now out there in the open poking through the official ideology of neo-liberalism and the technocrats. And the EU and the institutions of the troika have been exposed as inhuman and anti-democratic. The fact that you equate our assessment of the significance of the election of Syriza as meaning we support Syriza's program or politics merely highlights the unserious nature of your criticism. I wonder what you think of the obvious betrayal shown by Tsipras's recent steps. I'm afrad you may be misunderstood for the reason that you seemingly, if not the case, only focus on WSWS's sectarian and dogmatic tendency rather than the crisis faced by Greek working class and the counterpart of the rest of the World as well. Apart from that, I remember that in WSWS there once 'used to' be heated correspondence and polemic regarding Jazz, Classical Music, Painiting, and so on. However, this is no longer the case. Even in Art or Philosophy section, where the more controversy the better, there is no trace or sign of their movement's being healthy or promising. All is passed down like top-down managerial decisions. I am really sorry for that. It is certain that we have no reason for unnecessary conflicts, but well-grounded debate cannot be overemphasized, I believe. "The WSWS' appraisal, on the other hand, has proven to be very farsighted. They warned that Syriza was not a great new political alternative. Their characterization of Syriza's call for a referendum as a “reactionary fraud” was correct. The Greek finance minister Varoufakis confirmed that prime minister Tsipras was hoping for a yes vote in the referendum, which would have justified surrendering to European demands for austerity measures. When the no vote came in, Syriza then promptly ignored it and quickly agreed to more cuts." 3. As for Syriza "being a great new political alternative", we never said that. The "far_sighted" WSWS wise men have done nothing but repeat that Syriza will betray the working class and have spread the myth among their followers that they are the only ones on the planet who predicted that. In fact, this has been the common wisdom, not only among many groups on the left, but even among many bourgeois commentators. What we said, was that the recognition that Syriza cannot carry out its promises to end austerity is only the beginning of revolutionary politics not its end point. From there a genuine revolutionary has to deal with the more fundamental question -how do we bring the masses of the working class to the understanding that Syriza's program is doomed to fail and that socialism is the only viable alternative to austerity. The sectarians of the WSWS cannot even ask this question let alone answer it. 4. On the question of referendum being a "reactionary fraud", if you think that then you and the WSWS are completely clueless about the dynamics of the class struggle in Greece and its reflection in politics. As Marxists, we do not start with speculation about the intentions of this or that politician in analyzing a phenomenon such as the referendum. Rather we start with the relations of classes in society and look at how they are reflected in political developments. From this vantage point we saw the referendum as a reluctant response by Tsipras to pressure from below. Tsipras had to do something in response to what he knew would be a political explosion if he simply came back from Brussels with another austerity package. That was the backdrop to the referendum. Even so, there is no evidence for thinking that Tsipras intention was to lose the referendum from the start. You claim Varoufakis reported as much somewhere but you do not cite any source for your claim. In any case as I said for Marxists the intentions of those calling the referendum are besides the point. The fact was this was a great opportunity to rally the working class for a resounding NO while at the same time presenting an independent socialist program as the only alternative to austerity. Why do you think the referendum enraged the European institutions? It was precisely because the EU cannot tolerate decisions arrived at democratically. As far as they were concerned, Tsipras, in calling the referendum, committed an unpardonable sin for which he had to be punished. This is why there was talk of regime change among the leaders of the EU in Brussels this past weekend. "The referendum is not our program, but it's a clear step forward; the masses show that they wish to control their Washington representatives. We say: It's a progressive step that you wish to control your representatives. But you have illusions and we will criticize them. At the same time we will help you realize your program. The sponsors of the program will betray you..."
I'm a follower of this web site, less so of the WSWS, however paying attention to the Greek coverage I find the perspective of the WSWS fundamentally dishonest. Syriza is a reformist organization running on an anti-austerity program, their goal was to make a better deal with the EU, to roll back the austerity program and negotiate debt restructuring. The referendum can be looked at different ways, from the Syriza perspective, it was to give them some negotiating power, as it turns out the referendum had no effect on the negotiations (yet the WSWS hold Syriza entirely responsible for the outcome). 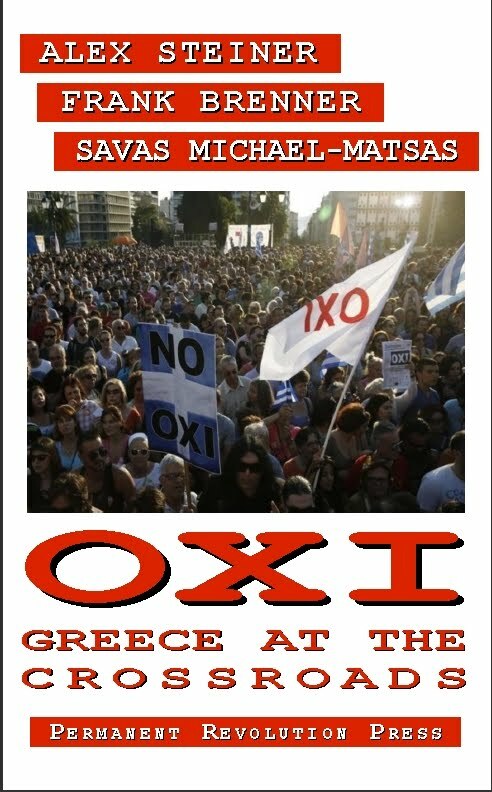 From the perspective of the Greece masses it was a vote on the policy of austerity, what Alex said is accurate, it was disruptive to the EU elites because it shows that the EU policy can not be dictated, that there is the possibility for political resistance among the working class. Overall I find the coverage of the WSWS to be a mess, it is as if they are responding to criticism, perhaps from here or elsewhere, but they never made a point to be consistent, to reconcile their earlier positions with their latter ones. Was the Greek referendum a “reactionary fraud” or did it have some meaning for the Greek masses? Which is it? Anyone attempting to make a comment here should at least decide on this point. About the unanimity, I testify to that point. Any difference of opinion within the SEP is treated like blood in a sharks tank, everyone that seeks to gain is willing to pounce to acheive submission if not exile of that person. Response to anonymous asking "what we think of the obvious betrayal shown by Tsipras's recent steps." It is an historic betrayal of unprecedented proportions. Greece has given away its sovereignty and there cannot even be a pretense of democracy after this. The harm that will be done to a country already ravaged by 6 years of depression is incalculable. Zoe Konstantopoulou, the Chair of the Greek Parliament, and one of the Syriza deputies who opposed the agreement, has rightfully called it "a coup, a blackmail which could lead to social genocide". The question for revolutionaries is Lenin's "What is to be Done?" I accept your point that we have probably spent too much time analyzing the twists and turns of the WSWS. But we have certainly not been ignoring the crisis in Greece. Since the election victory of Syriza in January we have featured 17 articles on Greece on our web site. Of those about 4 or 5 went into exploring the positions of the WSWS. The reason we have paid them this much attention because it struck us from the beginning, immediately after Syriza's election victory, that their sectarianism was ratcheted up to a new level of hysteria. What upset them was that the working class was moving and it was moving in a way their "science of perspectives" did not anticipate. We had seen similar expressions of hostility to the working class in struggle from the WSWS in the past. For instance, when there was a mass movement against the theocracy in Iran a number of years ago, their immediate reaction was to claim the movement was nothing other than a CIA plot. But I do agree that we have spent too much time on the WSWS in relation to our coverage of the crisis in Greece. We will continue to write about Greece in the coming days and weeks. The WSWS position on the Greek referendum has certainly been inconsistent. Initially their position was one of abstaining on the referendum, calling it a "reactionary fraud." Two days later they belatedly called for a NO vote in the referendum, obviously feeling that their rear end had been exposed. But their call for a NO vote was nothing more than a fig leaf that they never reconciled with calling the referendum a "reactionary fraud". If they were serious about calling for a NO vote, couldn't the intrepid "reporting team" that was present in Athens during the period leading up to the referendum have invested a few Euros to buy a piece of cloth and some magic markers so they could create a banner saying "WSWS says "OXI" to display in the historic rally against the Referendum on July 3? But the WSWS was nowhere to be seen on the July 3 rally. QED. Shouting down already happens within the SEP. I've witnessed it myself during many meetings, sometimes even public meetings when first time attendees were simply trying to better understand the SEP's position. 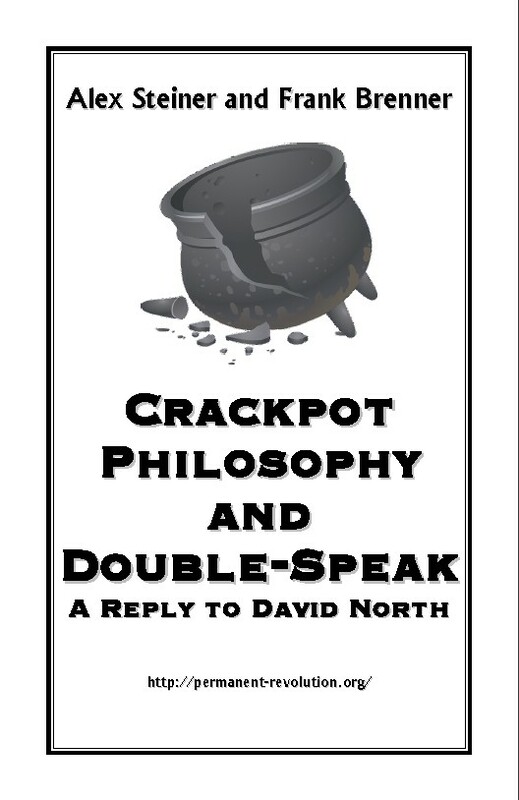 Someone will ask a question, or give an opinion, and North will often come down in a tirade on the person (if North happens to be in attendance). This will happen to at least one person during every meeting North attends. Healthy discussion does not have to include this sort of behavior. If one's analysis is correct, why would one need to shout others down to prove one's point other than to intimidate others into accepting that position? Shouting down is a tactic used by those who are at best intellectually immature, or at worst trying to intentionally silence others by asserting one's dominance. Hansen, can you describe more specifically your encounter with North? I saw him give a lecture followed by a Q&A at Cornell in May 2012, and he answered all the questions respectfully and honestly. I'd be interested in hearing your version of the details of your experience, as they run entirely contrary to anything I've experienced with North and numerous other cadres. Thanks. Cortright, your redirection is really obvious here. You claim shouting down is necessary (the fate of the working class depends on it, right? ), yet you require proof that North does it, as if to implicitly acknowledge that it is an unacceptable tactic in debate. Which is it? If North does it, and you think it's necessary anyway, why do you need the details and why does it matter that you've never witnessed it happening yourself? And yet you've still failed to address the actual argument I've made at the end of my previous comment: that shouting down is an unacceptable practice in healthy democratic debate/discussion. Also, really, you've only seen him speak once? How do you personally know anything about the experience of "numerous cadres" when you're clearly not a member and haven't been to a meeting in ages (3+ years)? Even before I joined the party I had far more experience interacting with North than just one meeting. In fact, there is a document that the party has informally titled "The Hargrave Document," that is widely circulated within the party, which is entirely dedicated to defending North's shouting down of other party members. If you're not familiar with the document then I'm guessing you simply don't have very much interaction with the SEP on any meaningful level. Either that or you are being disingenuous regarding your claims of North's behavior and the experience of other members. Lastly, even if I gave you the benefit of the doubt that the party was completely 100% healthy at the time you saw North speak, 3 years is plenty of time for a party to degenerate into a feeding frenzy. But, as Steiner and Brenner have pointed out in numerous documents (in GREAT detail) on their website, North's practice of shouting down and engaging in smear campaigns is hardly a new occurrence. The SEP has been doing this for awhile, and it's not a big surprise considering it's heritage (the WRP). For the record, the comment I made about shouting down Syriza supporters was meant to indicate that those who support petty-bourgeois parties, clearly in opposition to the SEP's Statement of Principles, shouldn't be given a hearing in an SEP meeting. Why should the floor be given to such back-stabbers? What you don't know is that I want on to explain in that comment--conveniently excised by Steiner/Brenner--that for the discussion and debate of party tactics and orientation of how to proceed with changing events, based on the Principals of the Party, shouting down would not be acceptable and would be anti-democratic. But because Steiner/Brenner engage in precisely the kind of censorship that they accuse the SEP of, you never got to read those comments (there are at least three other comments I've posted they have chosen not to publish as well, perhaps more). My question to you was an honest one. I never claimed to be a member or claimed to have had as much experience with the SEP as you ore anyone else. I merely related one experience of many I've had with various cadres. I sincerely want to know precisely what your experiences have been which have led you to your point of view. I'm really not interested in petty bickering, so if you don't want to tell me then just say so and we'll leave it at that.